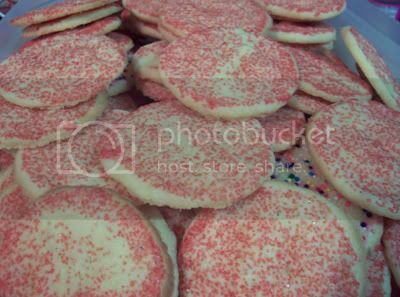 These are my standby sugar cookies that I make for Christmas, Valentines and just about any other time we want some sugar cookies. They are great frozen until you need some. These cookies have saved me numerous times when I have flaked out and forgotten an obligation at the girls’ school to bring treats. It is so easy to pull out this cookie dough out of the freezer, cut them into slices, bake and your instant treats are ready.I got this recipe from an old friend from the Netherlands. 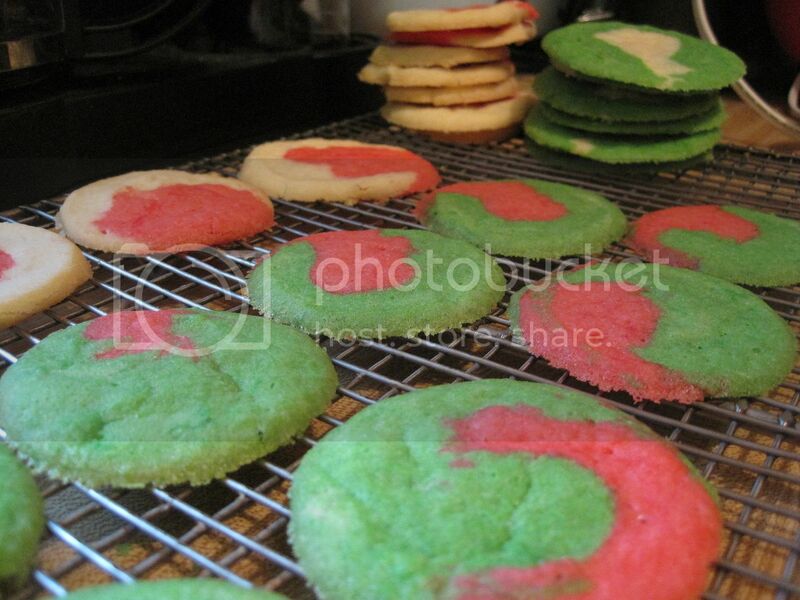 She used to make this for us, her co-workers, every Christmas and she always made them in the cutest little shapes. See, this dough is perfect for those cookie presses in case you have one in your gadget drawer waiting to be used. Try to save my method of freezing and slicing for emergencies only. Put everything in one bowl and mix well by hand. I don’t use a mixer for this. Just make sure to take the butter out the night before so it is really easy to mix. If your butter is on the cold side, then I would use a mixer to cream it and the sugar first until it is creamy. You can press the dough from a cookie press or roll into cylinders wrapped in wax paper or plastic wrap and freeze until firm before baking. Bake at 375 degrees F for approximately 10-12 minutes or until the edges are browned. 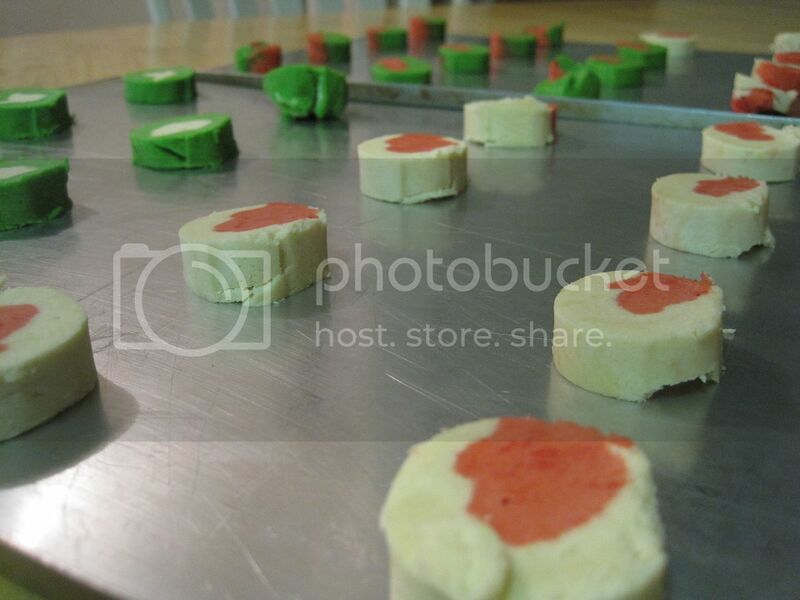 This is a big batch so I’m sure you will have enough uncooked dough to freeze. If you’d rather not make such a huge batch, the recipe halved works just as well too. 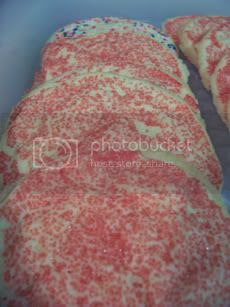 Whenever I make these sugar cookies, I usually end up making meringues or cat’s tongues (cookies) to use up the egg whites. Recipes for those will follow soon. Come check my site out when you have a chance.